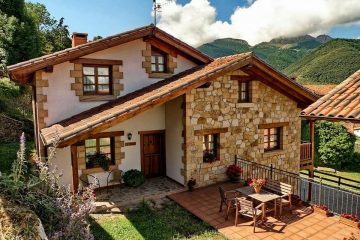 There are different materials that we can use to cover our walls and to destroy the simplicity in the interior. One great way is to adds tone or bricks on the walls and to enjoy in the decor. 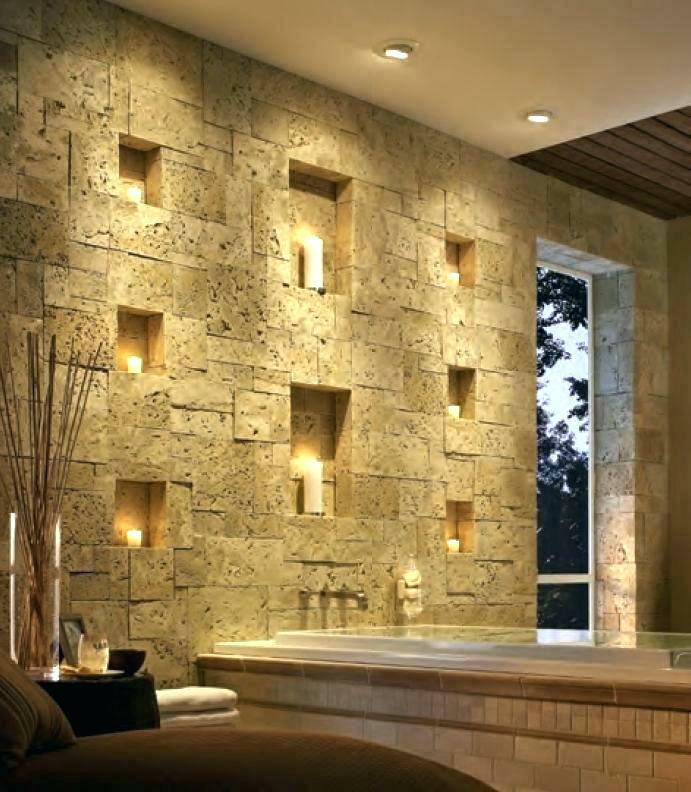 What follows next will appeal your attention for sure because we will show you bathroom stone walls that are heaven for your eyes!!! 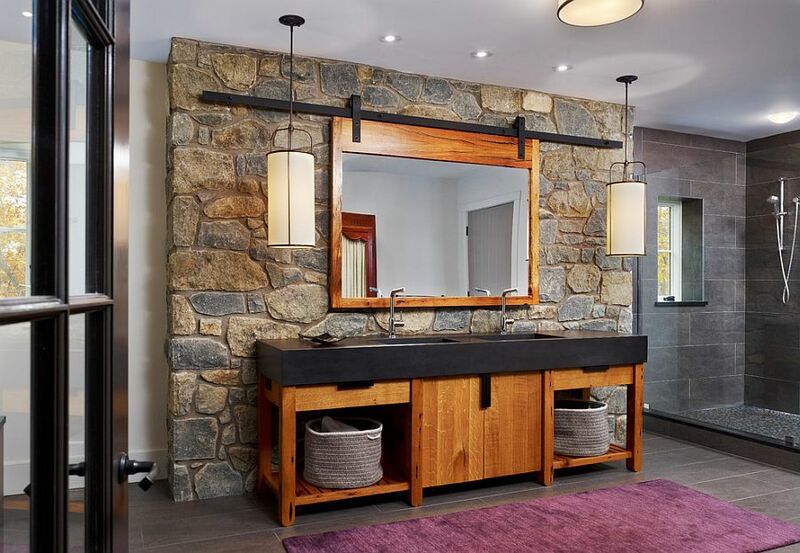 In short, you will see how to combine lighting with stones, how to combine mirror on the wall with stones an much more ideas that we prepared only for your eyes!!! 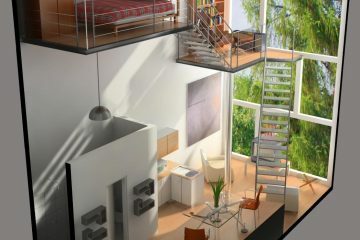 Also read about the perfect room layout, if you need an idea about where to add the sofa or coffee table at home place. 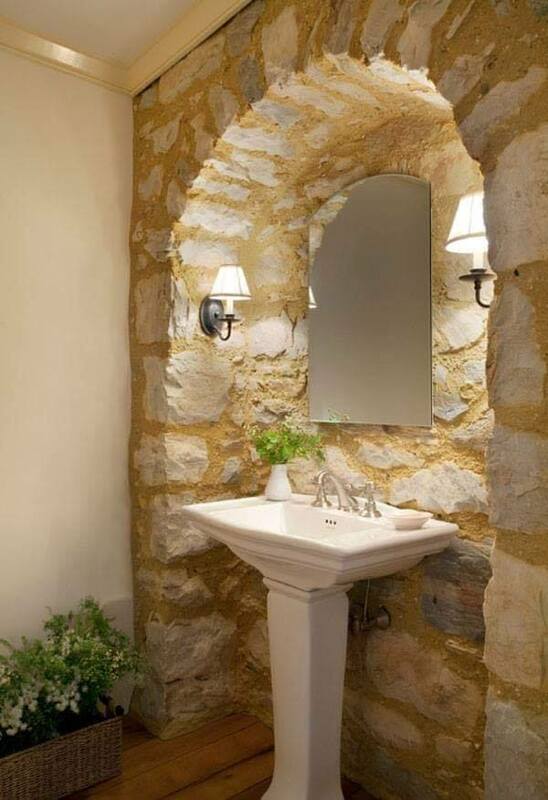 Stones and mirror are nice details for the house walls as you can see in the very first photo of this post. As you can see, there are also tow lamps on both ideas on the wall which makes this design so great. Please also check the other photos and inspire yourself. Even though this design reminds a little bit to the time where people had no choice f interior design and they have only the stones as a material to apply on their room walls, this is something very modern. 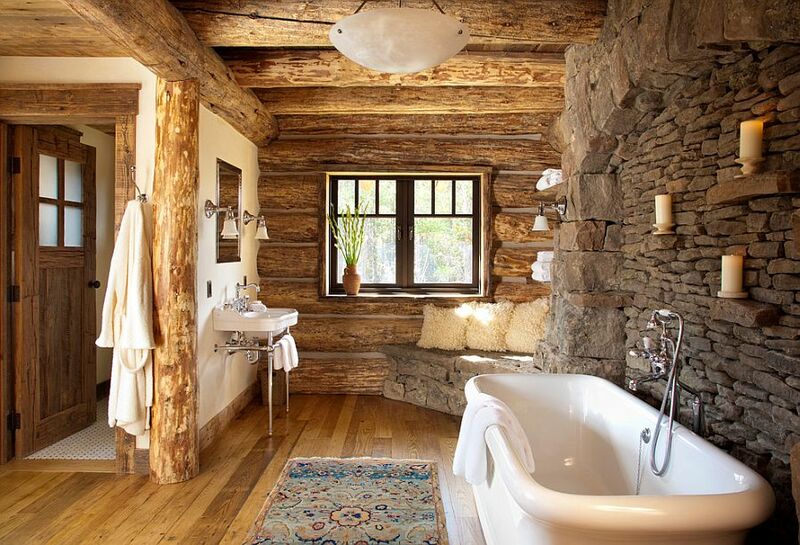 Many people today decide to add the stones as a part of their bathrooms. We might say that it looks a bit old fashioned and you will need to be brave if you choose this design for your bath walls, but let me tell you that this is the new trend and people love to have this as a part of their interior. Maybe you will think that this is the room that we don’t need to pay attention too, but maybe this is the room that is very important to us and we need to choose the design carefully. 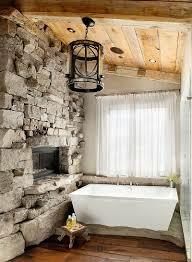 It’s great to have stone walls but also is great to have wall niches as a part of the decor. Take a look in the photo now to find motivation and to choose the best design for your house walls. 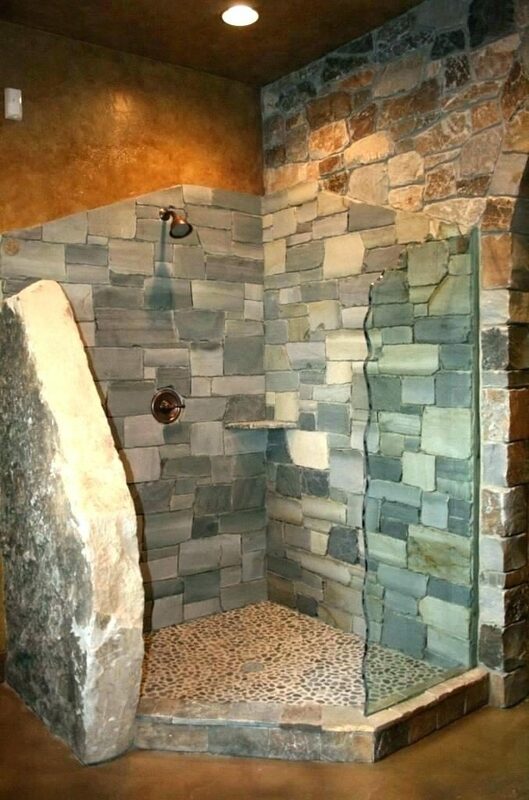 Also, pay attention to the shower room and choose stones and rocks to apply for the place. Take a look and feel free to share the idea on social media and to inspire your friends too. Well, idea by idea we are to the end of the post filled with inspiring ideas. 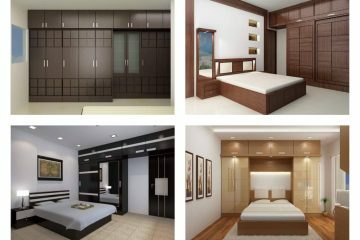 Now, you have a task to continue following us in future to see lovely ideas about interior and exterior place. We have a task to search for other ideas that you will adore!! !